While the majority of gaming laptops on the market cost extortionate amounts of money, MSI is a company that regularly manufactures powerful rigs for those on a slightly tighter budget. The GE700 is such a machine and makes an impressive entry level gaming laptop. When it comes down to it, gaming machines need to be powerful to ensure they smoothly run the latest games and multimedia programs. 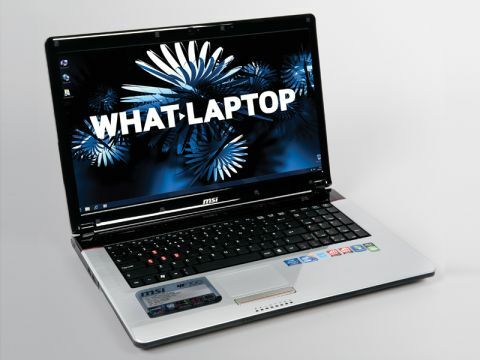 The GE700 features a high-powered Intel Core i5 460M processor and performance is excellent. You'll be able to run resource-intensive applications, such as video and music editing software, with no problem, and everyday programs such as web browsers and word processors run smoothly without any issue. Graphically the MSI can't compete with the extreme performance of full gaming laptops, but this is to be expected considering the low price. Nevertheless, the ATi Mobility Radeon HD 5730 graphics card has no problem running the latest games, although we had to set graphical settings slighty lower to enjoy best performance. This means the laptop is a highly competent gaming machine, rather than an all-conquering one. We loved the huge 17.3-inch widescreen panel and even though it doesn't feature a full high-definition resolution, images are both razor sharp and very colourful. This means games look great and movie fans will be impressed by just how immersive films look when shown on the display. The large screen size means the rest of the laptop is pretty huge and portability certainly isn't this machine's strong point. The 149-minute battery life is disappointing and the 2.9kg weight isn't ideal for carrying for extended periods. Build quality is good without being exceptional. MSI hasn't gone all out with the design or made it hugely garish, and while the mock brushed aluminium finish is universal in it's appeal, the bright red accents and trimming may not be. The large keyboard is very comfortable to type on for extended periods, but it's quite bouncy and we would question its durability over a period of years. As a gaming laptop, it's crucial that the keyboard is strong enough to take a hammering over a few years, but we're not convinced this board necessarily would.